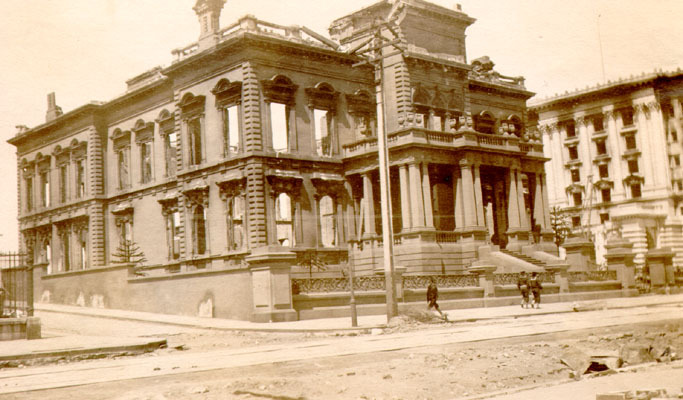 Title [Ruins of the Flood mansion after the 1906 earthquake and fire] [graphic]. Notes Written on back: "Flood mansion from south worst." Subject San Francisco (Calif.) -- Photographs. San Francisco Earthquake and Fire, Calif., 1906. Residences -- Flood, J. C.